Done right, the agent can greatly improve customer experience and get more tasks done through automation. Download this NLU Deck. 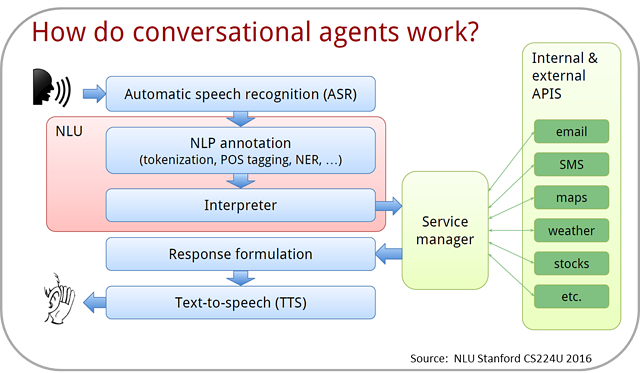 I grabbed this deck from a Stanford class that provides a good technical overview of NLU and conversational agents. I found it very useful. Want to know who is the voice behind Siri? See slide 11. We are generally interested in goal-based dialog agents that perform a meaningful task to achieve a goal (vs a Facebook Chatbot …that might do a lot of nothing). We want business value! So what are good and bad use cases for dialog agents? Current Chatbots mostly have scripted dialog management (choosing what to say next at each step of the conversation) which use rules to manage the conversation flow. NLU IVRs can generally handle greater complexity than Alexa, Chatbots and similar systems. This is why the best dialog agents rely on expert VUI designers, speech scientists and refined processes. If conversational interfaces really are a break through, then its time to try them out. So what are the best uses cases for these interfaces? 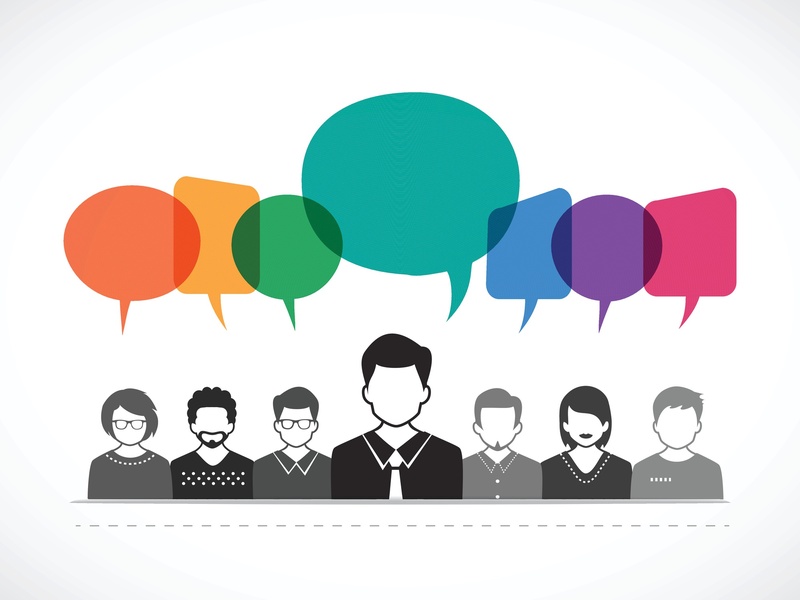 Also remember building conversational agents that can carry on a great dialog with your customer is not a easy task. To overcome barriers, look for NLU best practices, tricks, and tips (look for more in our blog posts). 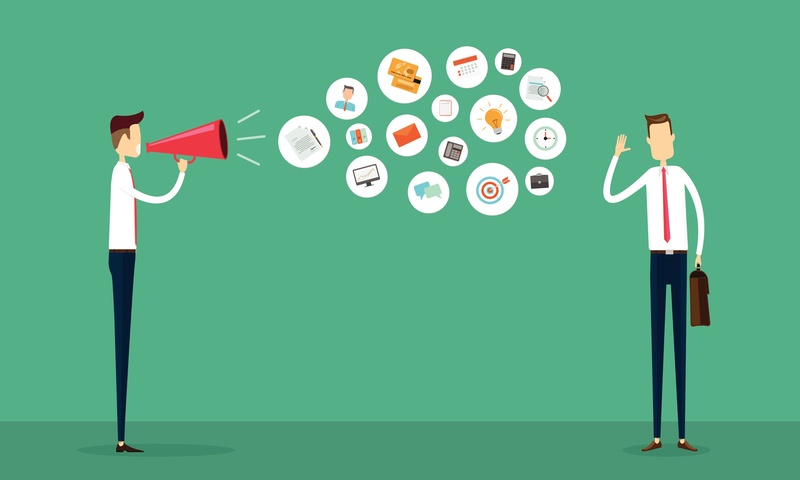 Here is one tip worth considering: The skill and expertise of the team building your solution maybe the most important factor when building a conversational solution that truly engages the customer. 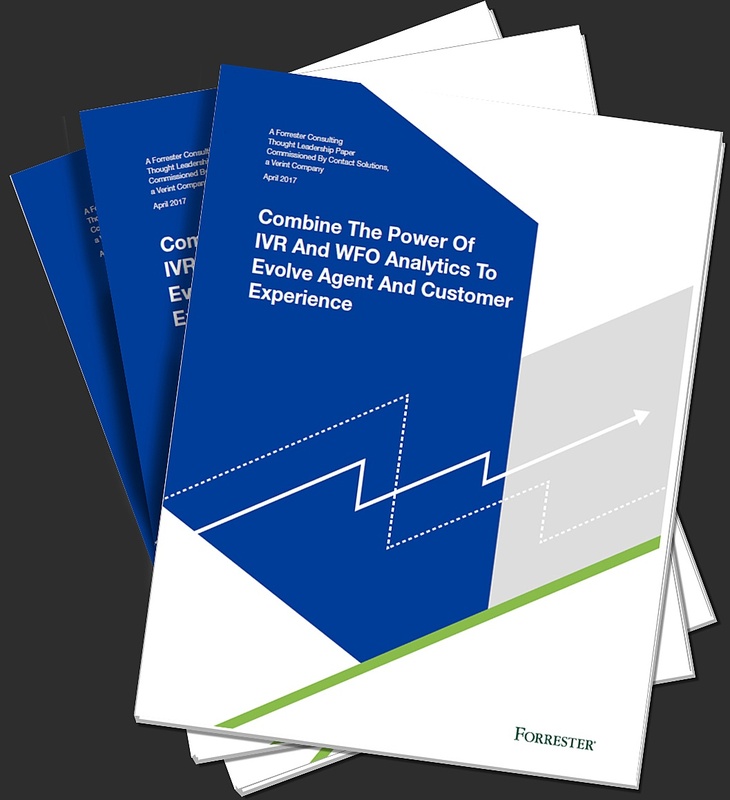 New insights on how to jack up Agent & Customer Experience with IVR+WFO analytics.